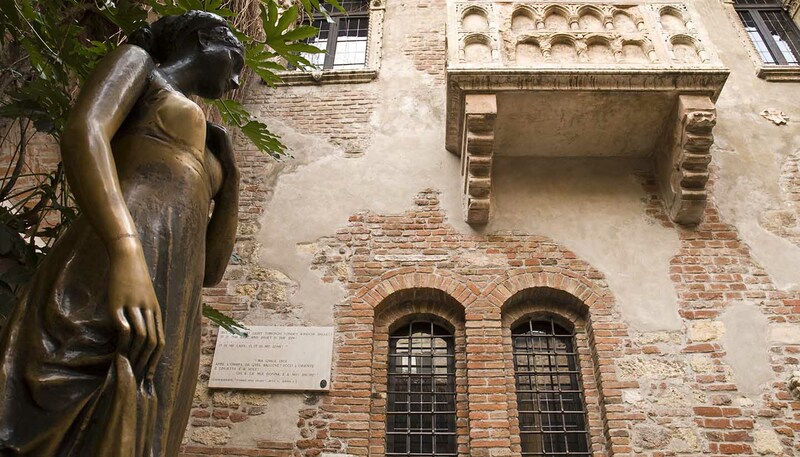 Unlike Venice, its more conservative neighbour, Verona has a healthy but mature nightlife scene. Surrounded by wine-growing regions and host of Italy's largest annual wine fair, visitors will find bars and traditional osterie (inns) are plentiful. Many also host live music at the weekends. Verona's club scene, however, is modest. A handful of late night spots dot the fringes of the city and many are small in contrast to the mega-clubs of Rome and Naples. Their doors usually open at 2230 and fill up after midnight. Instead of clubs, Verona offers concerts by the bucket-load. The summer opera and theatre festivals fill the town with visitors, and there's a year-round programme of music, theatre and dance at the city's numerous theatres and historic monuments. For more information seek out the Spettacoli section of the local paper, L'Arena, or visit the tourist office. The best bar in town, Caffe Filippini has been serving cocktails to a cultured-up crowd since 1901. Sit in the classic wood-pannelled interior or at outdoor tables and try the house speciality, the Filippini cocktail, a mixture of vermouth, gin, lemon and ice. Friday and Saturday night, the bar is full to bursting. For something more leisurely come for a pre-lunch café coretto (coffee with grappa). Telephone: +39 45 800 4549. Hip, young locals make their way to this smart, funky bar for cold beers, music and gossip. Its slick, cool interior is matched by the choice of music and the food is both a modern take on Italian classics, plus a number of international dishes. The wine list is extensive and well-priced and cocktails change on a regular basis. As well as decent wine, chintzy cocktails and hearty food, this elegant wine bar offers regularly changing exhibitions from artists working locally and further afield. Alongside the artworks are great views of the river and the Ponte Pietra with its fourteenth century tower. The interior has comfortable leather seats and a relaxed atmosphere, while the terrace is ideal for watching the sun disappear. Telephone: +39 45 927 5032. Part of the newly revamped Palazzo Victoria hotel, this very smart bar offers some of Verona’s cleverest cocktails to some of its more in-the-know inhabitants. Service is seamless, the atmosphere is relaxed and customers are an interesting mix of those staying upstairs and well-heeled locals. Victoria Club Bar is a good place for an aperativo before dinner and perfect for retiring to if the night is still young. Alter Ego is Verona’s most popular club and is situated in a pretty location in the Veronese hills. Relatively small in size, it attracts a diverse crowd and DJs specialising in disco. The best thing about it is the summer terrace, where you can dance the night away overlooking backlit Verona. One of Verona’s older city-centre club venues, Berfi’s is small and intimate. It consists of just two minimalist, white rooms: one featuring mainly commercial, disco hits and the other, known as the Caffe degli Artisti, where there are regular live performances. There’s also an on-site restaurant and dinner is included in the entrance fee. This large venue, situated towards Lake Garda, is young Italy at its most glamorous and effervescent best. Twenty-somethings from around the region flock here, especially on Friday and Saturday nights, to dance to the sounds of Italian superstars and big international artists. Regularly changing DJs and exotic cocktails are matched with special dance nights and events. A long-standing city favourite, Il Campidoglio, just off Piazza delle Erbe, is renowned for its tall cocktails and its premium Caribbean drinks. Happy hour, with generous aperitivi (snacks), is served from 1800-2100. The bar is divided in two halves; one catering to the live music crowd and another quieter drinking den. Telephone: +39 45 591 059. For some laid-back live jazz – and a quality glass of wine – book a table at Cantina del’Arena. Styled as a music brasserie, the moody, brick interior and long bar sets just the tone for leisurely strands of the saxophone. Order from the meat grill and finish with a full-blooded glass of the local Veneto Amarone. The 18th-century Teatro Filarmonico is Verona’s main venue for music and dramatic arts outside of the opera season. It is run by the Arena di Verona and stages a full complement of ballet, classical music and opera. Occasionally, they also host jazz and rock concerts.